Uruguay, a tourist destination. Come visit this small nation, with its beautiful beaches, rolling landscapes, and its kind people. Come, see for yourself! In this tranquil country the most incredible things have occurred, because we Uruguayans are a peculiar breed. You see, chief among other things, our culture gives us values; in turn, we value culture. We have filled our cities with countless works of arts, political monuments, and public events. Throughout the generations, famous cultural icons have swarmed our cities and coasts, desiring to witness, to indulge in our cultural splendor. Come, like so many before you; do not miss your chance. Long beloved by artists and architects, painters and sculptors; Uruguay has been chosen by countless cultural luminaries as the source of their inspiration, and the home of their art. 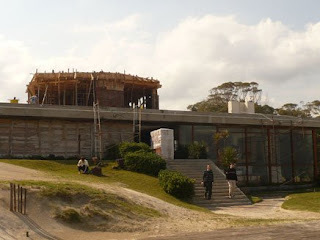 A modern example is the beachside resort Solana del Mar, located in Portezuelo, Uruguay, designed by the Catalan architect, Antonio Bonet. -How to contextualize a building to its landscape, while simultaneously enriching the landscape with its presence. -How the built environment can best capture, and permit the enjoyment of the landscape outside of it. -How to be respectful of the environment without entirely subordinating the work to it, nor renouncing it for the sake of the work, allowing the forms and the materials to converse with their context freely. -How to create a built space, whose stairs and corridors transport and accommodate, but also transcend their literal purpose to offer various perspectives of the home and its environment. -How to arrange the interior of a building so that its users move within its walls easily, without thought, relaxed. -How to use varying materials and combine them to perfection. -How attention to small design details can amount to the most important choices an architect can make. -How a designer is at once genius and rigorous, with a contagious passion for the aesthetics of all forms. That before lifting the stone wall, Joaquín Torres García assessed it, that the building is located on its own urban plan, and has become the subject of continuous study at an international level. Later he built the Banco del Rio de la Plata, and reformed the house of Susana Soca and built a church for her family in Soca. He worked in the architecture studio of Le Corbusier, and of Roberto Matta. He consulted with Julio Vilamajó. Using a work of Bonet’s, Eladio Dieste invented his famous cerámica armada (or structural brick). García Pardo was his apprentice, and he collaborated with Raúl Sichero. Intellectuals such as Richard Neutra came to Uruguay especially to see Bonet’s work. As a modern architect, he learned from Gaudí. He worked with J. Lluis Sert in the construction of the Spanish Pavillion in 1937 where Picasso’s Guernica was first hung. Bonet worked personally with Picasso, and the torero Dominguín, to design a bull-fighting arena. 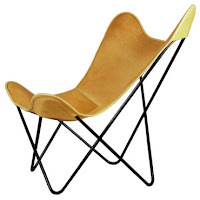 From Buenos Aires, he created the well-designed but economical, Butterfly Chair, now a household item worldwide. His success in Uruguay propelled his success in Spain. And despite his fame, his renown, the allegiance of his peers, Bonet’s work is now the private property of those whose transgressions to it go unnoticed. Although the current Uruguayan government prides itself on being a Vigilante State, it seems this time it is looking away. To them the building must not be worthy of being studied, visited, or marked for historical keeping. This country is what it is. 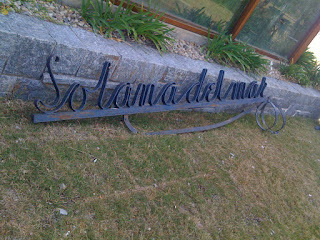 The Solana is no more.